Few companies have been able to offer a wide variety of high quality musical products. But when it comes to digital pianos and keyboards, Roland Corporation has time and again come out with top models that musicians are proud to own. Roland has been creating innovative musical products since 1972, and Roland digital pianos are known to be reliable, well made, great playing instruments. Roland’s professional stage pianos are prized by musicians of all stripes. But Roland also makes pianos to fit every need and budget. Our Roland digital piano reviews below go over the best Roland digital pianos to help you narrow down the field. The Roland RD-2000 digital piano is the culmination of their awesome RD series of stage pianos. And this latest model takes digital pianos to a whole new level. Incorporating both Roland’s SuperNATURAL and renowned V-Piano sound engines, this ultra-portable piano is capable of the most expressive, true-to-life piano sounds you’ll ever hear from a digital instrument. The RD-2000 not only sounds great – it plays great too. This piano features Roland’s superb PHA-50 key action, delivering the weighted feel of real piano keys. This keyboard is also packed with features, sounds, and rhythms that put other digital pianos to shame. Combine that with cool looks and great portability, and you easily have the best Roland keyboard out there. The Roland V-Piano offers unmatched simulation of a real piano. The 88-key PHA-III ivory feel keyboard includes Roland’s escapement mechanism and even allows you to adjust the feel of the virtual hammer felt. 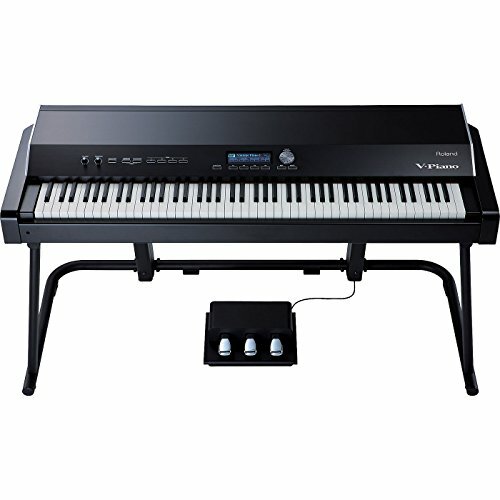 Also, Roland V-Piano reviews consistently call this one of the best real piano experiences out there. The V-Piano comes with 24 preset tones, 100 user tones and 100 different set-ups. It also allows you to create your own collection or choose from beautifully crafted vintage grand-piano presets. And despite using the latest in digital piano technology, the V-piano is easy to use with its well-designed control panel and simple interface. The Roland RD-64 packs authentic piano sound and touch in a compact, easy to carry instrument. This piano features Roland’s SuperNATURAL Piano sound engine for realistic acoustic piano tones and a variety of expressive SuperNATURAL-based electric pianos. The RD-64 has a 64-key Ivory Feel-G keyboard, and Roland piano reviews place the key feel on this model alongside Roland’s best. It includes high quality stereo reverb, plus EFX 1 and EFX 2 processors that produce enhancements that are tailored to each of the piano’s tone categories. The piano also has 12 versatile tones that include clav and organ sounds. The Roland FP-80 looks great, but this super portable digital piano is more than just a stylish show piece. The FP-80 uses Roland’s highly praised SuperNATURAL technology, and delivers natural piano sounds with authentic key feel. It also has unique digital features that improve practice and composition. These include rhythm accompaniments that help you develop a sense of timing and groove while playing along with various music styles. 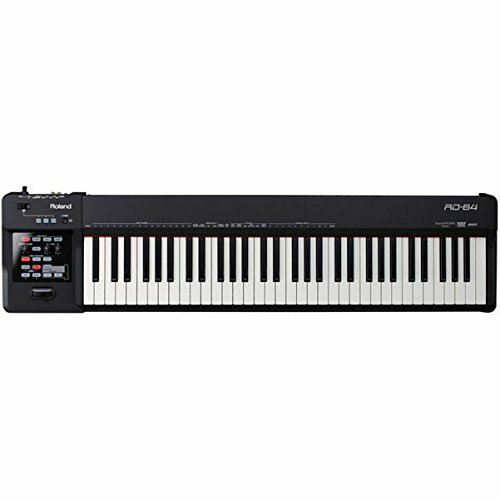 The Roland FP-80 has 88 keys with an ivory feel-S keyboard and Fixed Touch Hammer Response. It conforms to several MIDI formats and offers an array of piano and digital tones. While writing our Roland FP-80 review, we found this to be a versatile instrument that works great at home, in the classroom, or on the stage. 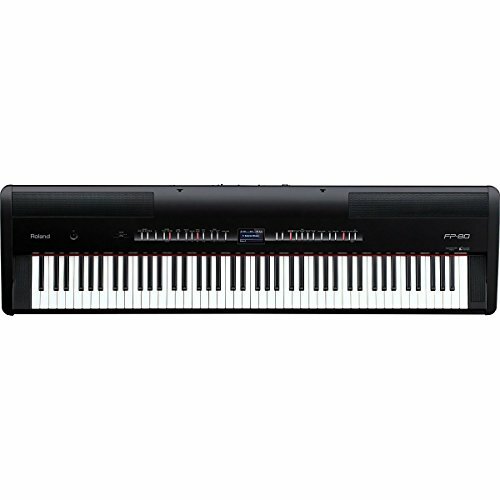 The Roland RP-102 digital piano is your best bet if you want a dedicated digital piano to learn on. With the RP-102’s Piano Partner 2 music learning Android/iOS app, keyboard excels as a learning tool. And it features Roland’s PHA-4 keyboard action and SuperNATURAL sound engine, creating a realistic and satisfying piano experience. This is also Roland’s most affordably-priced digital console piano. 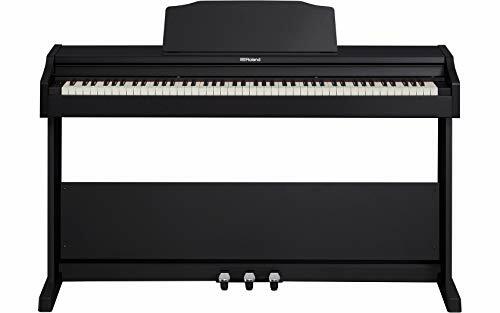 So if you’re a beginner and want to pick up a top notch digital piano without totally breaking the bank, the RP-102 is a good bet. There’s a lot to like with the RP-102, making it the top Roland keyboard for learning piano. If you’re in the market for a great digital piano, our Roland digital piano reviews should help you narrow down your decision. Roland pianos are on the cutting edge of digital keyboard technology, and their quality and features are consistently top-of-the-line. It’s tough to go wrong with Roland. Whether you are a gigging performer, a studio musician, a student, or just playing in your living room, Roland offers a piano that is perfect for your needs and budget.